We've been teasing for a little while, but its finally ready to share....City and Colour beer. yep! 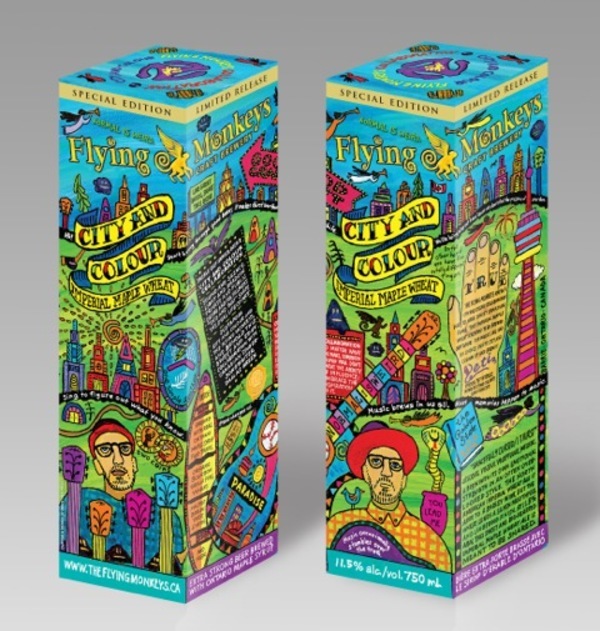 This is a Limited Edition Special Release under the Flying Monkey's Treble Clef Series. Dallas and Flying Monkeys collaborated to brew what the Barrie, ON brewery calls "high-alcohol (11.5% ABV) Imperial Maple Wheat Ale brewed with maple syrup and infused with fair-trade, organic Bourbon vanilla pods"